Allen & York, the leading International Sustainability Recruitment Consultancy, required a website for their sub-brand; the Sustainability Search Group. CuCo won the tender to design and build the website which is dedicated to Executive and Board level appointments and can be used by their offices in London, Melbourne and Dubai. 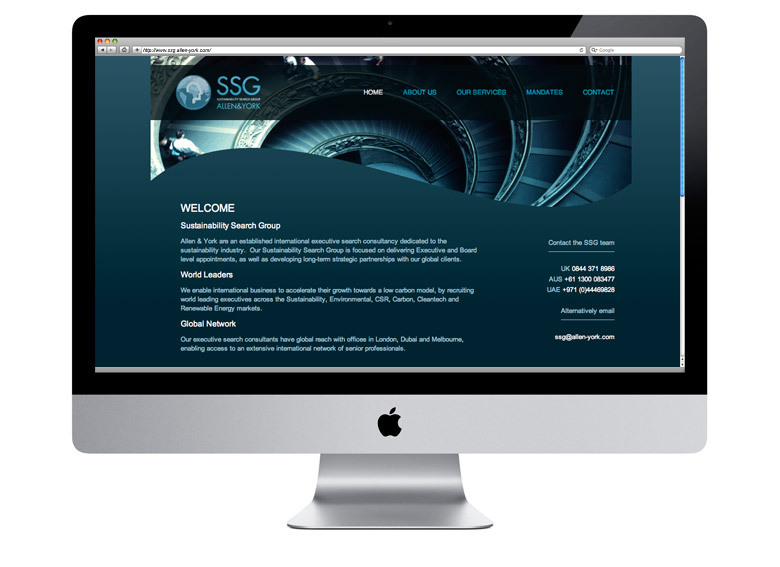 The SSG website needed to have its own look and feel and portray the exclusivity of the global sustainability search specialists. CuCo gave the site a simplistic yet stylish design which could sit alongside the branding for Allen & York. The site was built using WordPress which allowed the site to be user-friendly plus excellent for SEO.